As an artist, Blitz The Ambassador has mastered the form of mashup, taking the African music realm and fusing it with all things hip-hop, funk, rock and soul. While musical genres like High Life and Afrobeat are immediately present in his music, listening deeply reveals a definitive diasporic musical melange. In The Warm Up EP and Native Sun, Blitz’s last studio album, central and east African musical influences also seem to inform the overall sound of his band, The Embassy Ensemble. But, let’s take a step back and talk about Blitz’s self-appointment as Africa’s native son and spirited ambassador. An ambassador, as we commonly understand the title, is a diplomatic agent of the highest rank accredited to a foreign government as the representative of one’s own government, appointed for a special diplomatic assignment. In other words, a messenger. 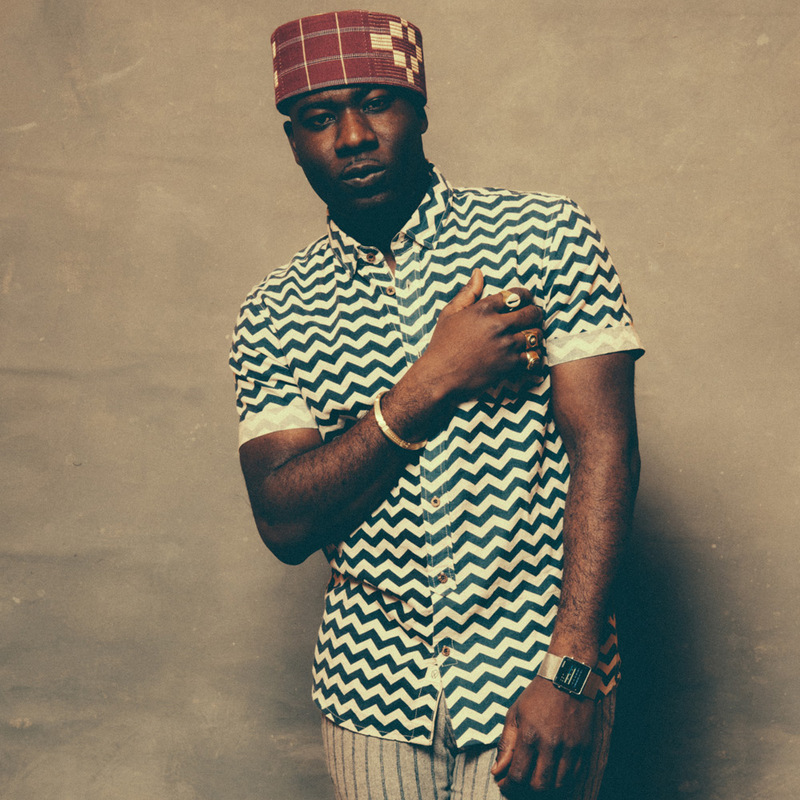 For over a decade, Blitz The Ambassador, Ghanaian-born, US-based lyricist, composer and producer has been on a special assignment repping the Motherland. With each project he’s honed his craft as a wordsmith while exemplifying Africa more accurately rather than the tainted, skewed image in which she is often regarded. Ghana’s own, he is really a global citizen upholding the banner of African dignity and pride with determination. It’s seen as he dutifully shouts out cities and nations from all over his Africa on record. This week Blitz releases his next studio album, Afropolitan Dreams. On this canvas, Blitz paints the narratives of young immigrants constantly bridging the gap between the world in which they live and the world from which they come. With the merger of the words African and cosmopolitan, the album promises to convey the semblance of culture clash, coexistence, and unbelievable journey. As with albums past, Afropolitan Dreams will deliver live instrumentation, studied African rhythms, and the soundscape of metropolitan life. He will continue telling stories in his masterful way, having gone back to Accra to work on the new album featuring Grammy-winning ‘queen of African music’ Angelique Kidjo, German/Nigerian soul/hip-hop songstress Nneka, Brazilian hip-hop star Marcelo D2, and French/Malian lyricist Oxmo Puccino, among other notable guests. His goal is to create a project that inspires the memory of his coming of age and why he fell in love with music in the first place. Hip-hop songs based in social political commentary influenced Blitz to develop his own expertise as an emcee. Likewise, African artists have always had social political messages which have also influenced his lyrical content. Afropolitan Dreams promises the story of love, globe-trotting, learning the best of what countries have to offer and returning back to Africa to make a significant contribution. His legacy is that of uplifting his people with affirmations and positive images, elevation, mind-over-matter, dreamer type universal truths etched in humanity and advocacy to be better human beings.